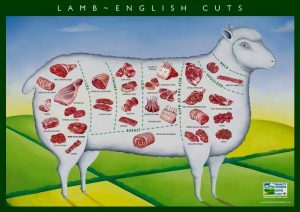 We have Lamb sourced from the West Country, Isle of Man and locally like the protected landscapes of the South downs and is always of the highest quality and expertly cut to give the taste and consistency that our customers expect. Our experienced staff can provide you with the perfect chop or the finest legs of lamb for that perfect Sunday roast and even help to guide you in the cooking and the carving so you can really make the most of your meal. You can also buy in bulk with our special offers, Perfect to fill the freezer, we offer discount on Whole Lamb packages, lamb chops and fillets that are cut to your own requirements and packaged to suit your needs.